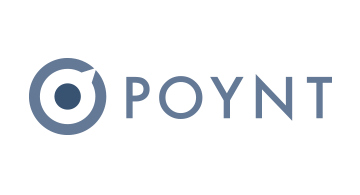 Poynt was founded on the belief that all merchants should have access to innovative technology without compromising on security or user experience. We set out to fix broken commerce infrastructure by bringing developers, distributors and merchants together on an open platform running on top of a smart, all-in-one device. With our founder and CEO Osama Bedier — former head of Google Wallet and long-time PayPal senior executive — we strive to create tools that will help merchants thrive in today’s evolving and connected commerce world. We’re a tight-knit team with world-class payments, engineering, and fintech backgrounds, and we are passionate about providing incredible levels of insight, control, and security to all of our partners: merchants, developers, and distributors. Poynt is backed by Matrix Partners, Oak HC/FT Partners, Stanford-StartX Fund, Webb Investment Network, Nyca Partners, Google Ventures and other individual investors. Our office is on California Avenue in Palo Alto, CA.